This beautiful boy is Bubba. 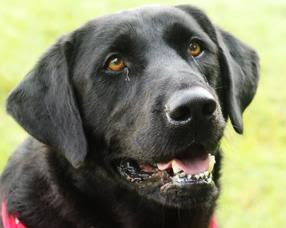 He's a 6 year old black Labrador Retriever. As he explains in his adoption message, he's got a couple of issues. At 92 pounds he's a bit overweight and needs a new best friend to help him slim down. He also has what is probably a partial tendon tear in his left hind leg. That will mean some veterinary care. Hi there, it's Bubba here. What do you think of when you hear the name "Bubba?" I hope it's a big, loveable, happy-go-lucky black lab, because that's me! I'm 6 years old and weigh 92 pounds....I need to lose weight, but I swear some of that weight is all the love I have inside me! I crave attention from people, and I've heard it said that I have an all-around great personality. What more could you wish for? When I arrived at Wayside Waifs, the first thing they noticed (other than my splendid looks and personality) is that I have a problem with my left hind leg. I limp, and the vets are pretty sure it's a partial tear of a tendon. It may not get any worse, especially if I'm careful and not rambunctious. That's where you come in. I have a lot of energy, and I need my person to make sure I don't over-do my exercise. Gentle walks would be wonderful, but no jogging or leaping. Don't get me wrong...I'm still up for fun and games. Swimming might be something I'd like to try as I love the baby pool in the park. I've also had fun hanging out with another dog here, but no rough play. Exercise that will help me burn up some energy in ways that don't further injure my leg is the way to go. To be truthful, I really love attention and affection from humans. I think I'd be content just living in a home with someone who adores me, pets me, gives me belly rubs, and appreciates my goofy and loveable personality. The vet may want me to be on anti-inflammatory medicine. Together, we'll have to check that out. Oh, and because I'm overweight, I'll need you to oversee a diet for me which would lighten the strain on my leg. That's not real appealing as I do love my food, but if it keeps me healthy, I'm in! I know we'll both want to be vigilant in order to avoid me needing any corrective surgery, right? So you see...I'm looking for someone pretty special to see to my needs. Why not? I'm a pretty special dog! I'm full of life and have a lot of good living ahead of me. I know how to "sit" and "come" and I'm motivated by toys, praise and of course food. That means it'll be easy for me to learn more commands and basic obedience. That would be fun for both of us and provide me with mental games to re-direct my energy. I love to go for walks and it'd be great if you'd use a harness or halter to help me learn not to pull. I am mostly house trained and have not had any accidents in my kennel. Once I'm at home with you, a refresher course on that might be on your to-do list. So here I am...a big bundle of love just waiting for you! When you come to see me, please bring all family members, including any furry ones, so we can make sure we all get along. Also, I should go to a home with kids older than 5, who can understand the rules about my activities and help make sure I don't romp around like crazy. I'm really hoping that you are my special match, and I can be your perfect companion. Come see me soon...I can't wait to start the rest of my life with you! 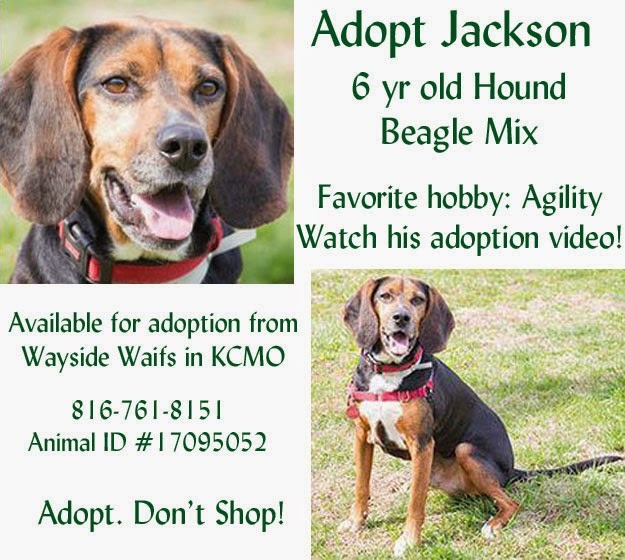 Bubba is available for adoption from Wayside Waifs in Kansas City. Give them a call at 816-761-8151. 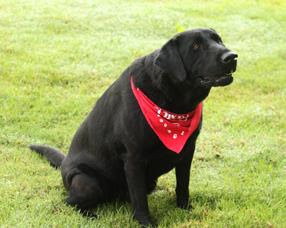 Bubba's animal ID number is 28009546. Bubba's adoption fee is $65. 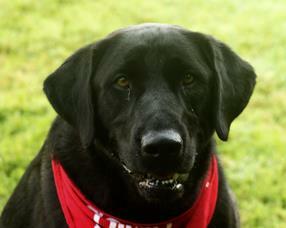 Two other dogs we've featured from Wayside Waifs in the past are still waiting for their forever homes. Jackson is still waiting for his furever home. 8 yr old senior Sherman is still waiting, too. He looks like such a sweet boy. I shared on Twitter. 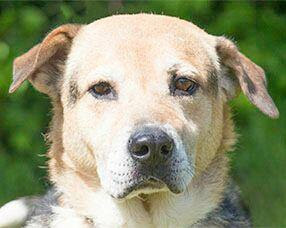 Hopefully he finds someone who will help him slim down and give him a good loving home. Hope you find a good home. We pinned you on pinterest! Bubba, you look so full of love and ready to go home, we're cheering you on. Sharing too. Bubba is so handsome! Sharing and hoping he finds his forever home soon! I hope they all get good homes soon!